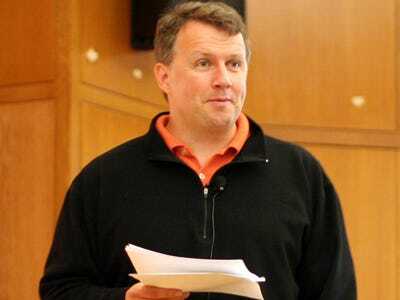 Y Combinator's Paul Graham: Dot-Com Bubble Was "Dumb Leading The Dumb"
Angel investor Paul Graham apparently left a comment on a Hacker News poll denying that the tech industry is in a bubble, and contrasting the current situation with the dot-com run-up in the late 1990s. Graham is the main force behind Y Combinator, which offers small amounts of money and mentoring to many startups. Recently, investors Yuri Milner and Ron Conway offered every Y Combinator company an additional $150,000, sparking talk of a bubble in early stage valuation. I was here in the Valley for the original Bubble, and the situation now is nothing like that was. Back then people were saying there was a “new economy” driven by the Internet, and that productivity was going to go up like a step function, which justified higher p/e ratios for any company that could claim to be a participant. If you had money to invest you felt like you had to have most of it in the stock market, because money parked in bonds would miss out on all this growth that was coming. Back in the 90s I was sure there was a bubble happening, and was notorious for telling everyone to sell. And yet I remember that even I thought it was dangerous to have money sitting in bonds. I don’t think that now, and I don’t think anyone else does either. What’s happening now is a lot more localised. A few professional investors are paying higher valuations for startups than they were a few years ago. But the number of participants and the amounts of money moving around are both very small compared to the 90s. Plus the companies are better. In the 90s, it was the dumb leading the dumb: smooth-talking MBAs were raising money from hapless LPs and investing it in startups run by other smooth-talking MBAs. Now it’s Yuri Milner investing in a company run by Mark Zuckerberg.